Visit Jerusalem: Every history books recounts vividly the antiquity, holiness and glory of Jerusalem. For this reason, billions of pilgrims around the world are drawn to it. 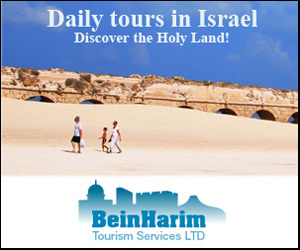 Jerusalem is a city which offers you various attractions. It is a place of religious and spiritual experience; a place filled with excitement and pleasure; a wide area of entertaining and interesting tours. It possesses a striking beauty. But there is more to it than meets the eye. Because of its historical past, Jerusalem is adorned with an enticing network of museums and archaeological treasures miraculously rediscovered and are showcased to the entire world. This is located at the heart of Jerusalem. It is enclosed by a wall and is divided into quarters. 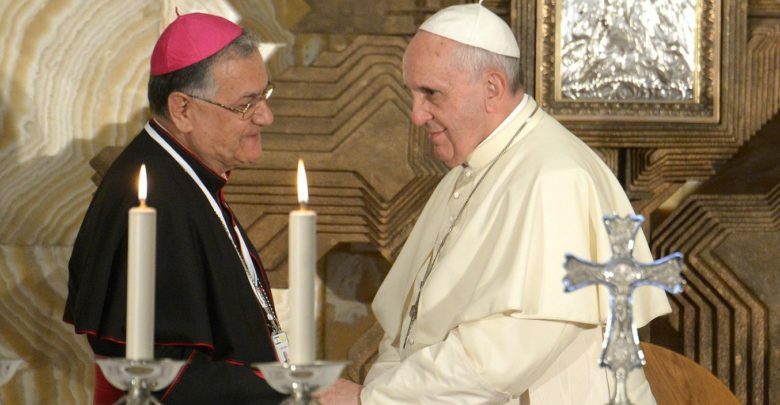 The important talked about holy places(Western Wall, Church of the Holy Sepulcher and the Dome of the Rock) of the three major religions are enclosed within these walls. Walking through the streets of the Old City is often compared to walking in the pages of the Bible. 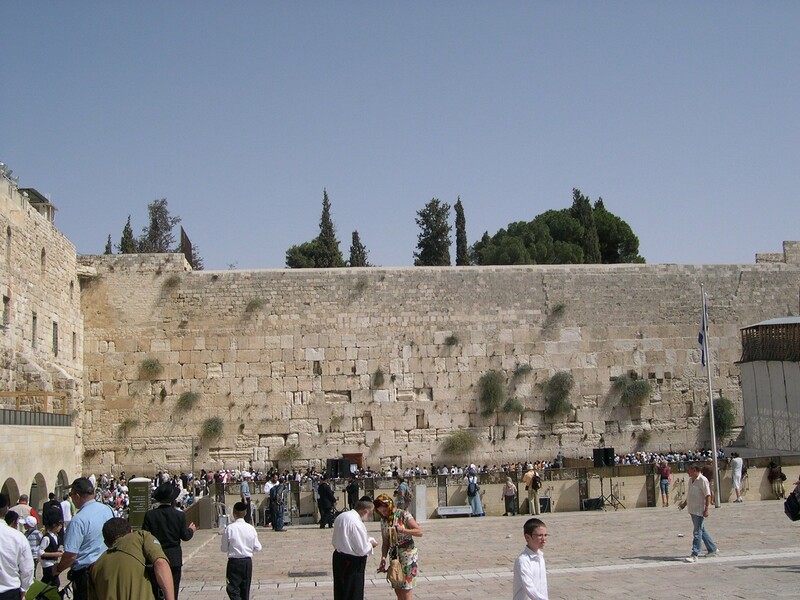 The Western Wall plaza is always visited by millions of Jew worshipers. This is the only wall of the Second Temple to be left standing when the Romans pillaged it in the year 70. This is where Jews write heartfelt prayers on small sheets of paper and insert it at the cracks of the wall. Other remarkable and important sites for the Jews that surround the Western Wall are–– the Western Wall Tunnels, the unique Davidson Center, and the Jewish quarter with its magnificent Cardo and David’s Citadel that stands with pride in all its beauty and glory. On the southern of the Old City is the City of David from which the ancient Canaanite and Israelite Jerusalem grew. The City of Jerusalem plays a very important role to Christianity because it carries on the path of the life of Jesus Christ. 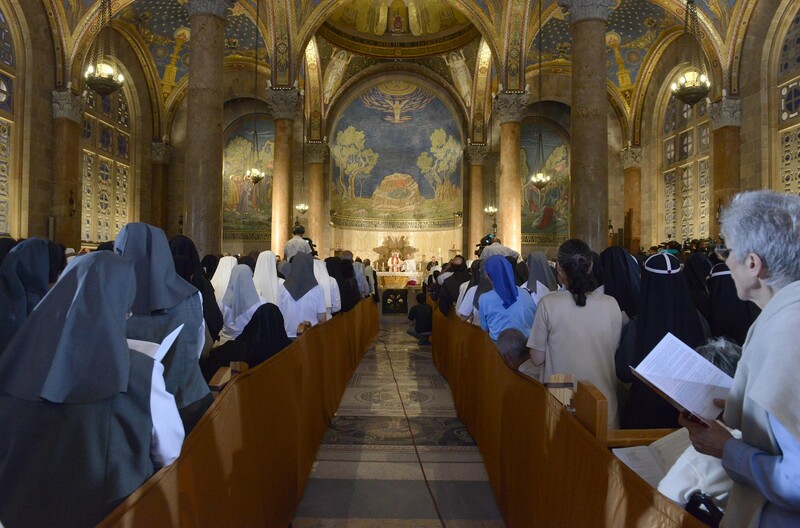 This city commemorates the life and works of Jesus Christ more than in any part of the world. It is because Jesus Christ lived and died here. 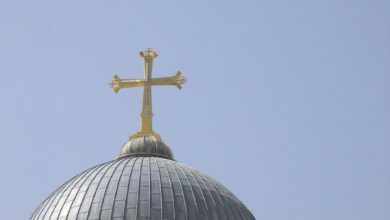 That is why Christian quarter of Jerusalem houses 40 religious buildings such as: churches, monasteries and pilgrims’ hostels. One of the most prominent and important sites in the Christian quarter is the Via Dolorosa, the path where Jesus’ walked carrying his cross, which geographically according to Christian observance leads from the courthouse to Golgotha Hill, where Jesus was crucified, died and was buried. 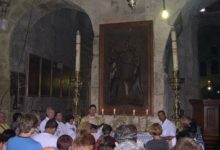 Many pilgrims come to Jerusalem to retrace Jesus’ footsteps along a route that starts at Lions’ Gate, passing the 14 Stations of the Cross and ends at the Church of the Holy Sepulchre. The Church of the Holy Sepulchre is a pilgrimage site for millions of Christians from all over the world. It is believed to be the place where Jesus died, was buried, and resurrected. 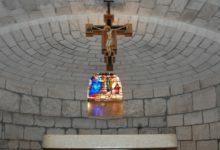 Several of the most important Christian relics are kept in this church. It includes the anointing stone on which Jesus’ body was laid, and Jesus’ grave. This Byzantine church was originally named Church of the Resurrection. This church has been destroyed and restored frequently, but has always conserved its esoteric aura and religious charm. Southwest of the Old City is Mt. Zion. 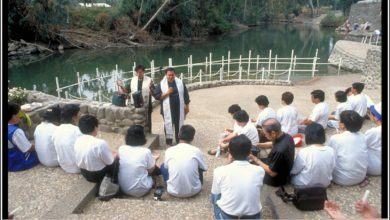 This place is very important for Jewish and Christian believers alike. For the Christians, this is where Jesus celebrated the Last Supper. The Dormition Abbey can also be found in this area. It was built on the site believed to be where Mary spent her last night. The abbey was built about 100 years ago and in the basement there is a statue of the sleeping Mary. On the eastern part of Mount of Olives, where you can find the other important sites and several churches like: Pater Noster, Dominos Flevit, The Ascension, Gethsemane Lazarus and Abraham’s Monastery, are found. According to the tradition of Christian’s, Mary’s Tomb is in the Kidron Valley, below the Mt. of Olives. For the Jews, Mount Zion contains what many believe to be King David’s tomb. Moreover, Mount Zion houses the Chamber of the Holocaust, a candlelit memorial room in which to remember the six million victims of the most recent Jewish genocide. The Dome of the Rock is the most defining structure on Jerusalem’s skyline. It is a great golden globule that is extremely noticeable especially during before the sun sets in the horizon. Built in the late fifth century, this octagonal mosaic-covered temple is the earliest Muslim building known to Islam. This tourist attraction got its name from the massive rock confined within its epicenter. This rock is called as the Foundation Stone from which the Jews believe the world was created and from which Muslims believe Muhammad ascended to heaven riding his winged horse. 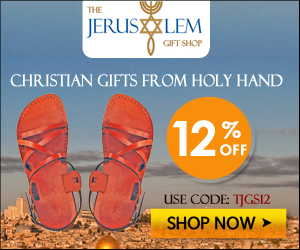 Looking for a place where you can buy divine but cheap artifacts? Well, apart from the religious places, there are numerous charming and eye-catching sites that are worth visiting. 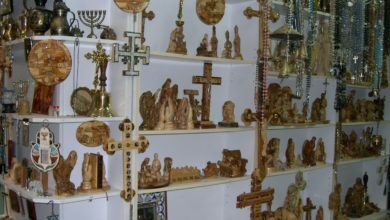 First stop is the marvelous emporium of wonderful things where you can purchase decorated ceramics made through the Armenian design, beads with beautiful strings, embroidered cushions, colorful wool carpets, candles, and countless different souvenirs. From the promenade on the top of the Old City walls you can have a splendid view over the Old City and the New City. Tours along the walls are a wonderful nighttime activity because of the blanket of sparkling lights that covers its skies. Saladin Streets is the perfect point to start a stroll in East Jerusalem. As you march along its streets that begins from the north, and goes towards the Old City walls, you will pass through the Ministry of Justice located on the right side of the road. Just across the street in a tree-shaded compound, you will find the noted Albright Institute of Archaeological Research. Center . Turning left will lead you to Az-Zahra Street, a modern avenue of clothing lines and appliance stores, restaurants and hotels, and bookshops that leads exactly to the Rockefeller Museum. The road to Mount Scopus can be travelled from Sheikh Jarrah where the road heads past the Mount Scopus Hotel and proceeds, gradually curving, past Shepherds Hotel. At the bend in Mount Scopus Road, to your left side, you will see the Jerusalem War Cemetery, the resting place for those who perished during the British World War I. The Mount Scopus-Har Hatsofim – which means “Mount of Observation”, was where the Roman armies camped in A.D. 70. They have found the Six churches and one of the most ancient of Jewish cemeteries in Mount of Olives. Turning right down the path will lead you to the Tombs of the Prophets – which believed to be the burial place of the prophets Haggai, Malachi, and Zechariah. Many Jews have believed that the route to heaven is the shortest in this place, since God’s presence is always hovering over Jerusalem. Many believers think that the rebirth of the dead prophets will occur on the Mount of Olives. Heading down the path of the right side of the Tomb of the Prophets will lead you to Dominus Flevit, this is a modern Franciscan church – which marks the exact spot where Jesus believed to have wept over his vision of the future destruction of Jerusalem. Next is the onion shaped spires of the Russian Orthodox Church of Mary Magdalene that was built in 1888. The Roman Catholic Garden of Gethsemane that adjoins the Basilica of the Agony is the very same courtyard where Jesus prayed the night before his arrest. 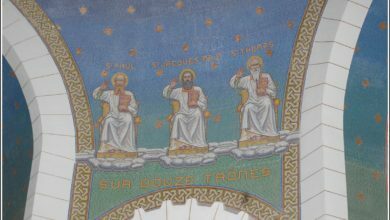 The church’s gold mosaic facade shows an image of God looking down from heaven over Jesus and the people of the world. 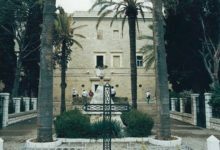 Next door, past beautifully tended gardens of ancient olive trees and bougainvillea, is the Tomb of the Virgin, which is a deep underground chamber housing the tombs of Mary and Joseph. 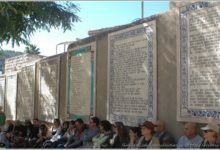 The Street of the Prophets was the “Christian street” of 19th-century West Jerusalem and still has a variety of churches and missionary societies. The high-walled Ethiopia Street is where the splendid Abyssinian Church can be found. 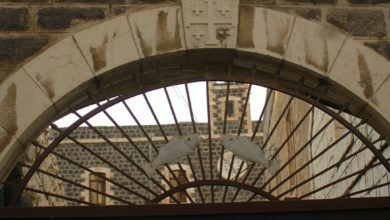 The building with the Lion of Judah carved into the gate above the courtyard is the spiritual home of the Coptic Ethiopian clergy. Yemin Moshe was built in an effort to bring indigent Jews from the Old City into a more healthful environment. The project included a now-famous windmill for grinding flour. Yemin Moshe is a picturesque, now beautifully restored neighborhood. There are no shops in the area but the views are spectacular. It is a fascinating place for an early-evening or winter-afternoon stroll. Hasidic and Ultra-Orthodox Jews of East European origin populate Mea Shearim. It is a world unto itself. Originally built in the late 19th century as a semi fortified agricultural community, the neighborhood consists of numerous courtyards designed as a defense against unruly Bedouin marauders. 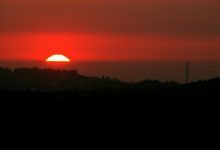 This ancient village of Ein Kerem, a deep valley at the western edge of Jerusalem, is traditionally regarded as the birthplace of John the Baptist. The lanes and gardens of this area called as the Well of the Vineyard are lovely; and the old Arabic-style houses have been renovated by some of the city’s most successful and famous inhabitants. Ein Kerem contains a number of 19th-century European churches, convents, and monasteries. The most important is the Church of Saint John in the center of town. Art connoisseurs will be glad to see that Jerusalem is marked with innumerable museums full of intricate, detailed and richly designed exhibits such as; the Natural History Museum, the Museum of Italian Jewish Art, the Israel Museum, the Bloomfield Science Museum, the Rockefeller Museum, Yad Vashem Holocaust Memorial Museum, the Bible Lands Museum the Armenian Museum and the Islamic Art Museum the Old Yishuv Court Museum. Where else can you find a place that is satisfying as Jerusalem? From the very beginning, this place has been the one and only, a unique city second to none in the whole world.